Take large-scale advantage of your Cloud applications. 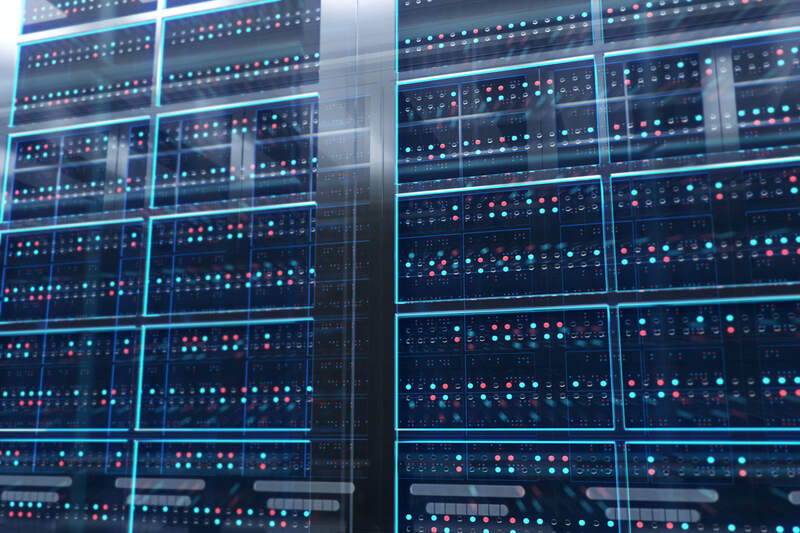 The Enterprise-Class data centers built by Outscale allow us to offer high capacity storage solutions, guaranteed data protection, and digital sovereignty. Block storage on standard hard drives, or SSDs, that allow performances of up to 36,000 IOPS per instance. Allows you to store and manage your files with confidence in a replicated, highly available system. System volume is automatically created and attached to store all the operating system’s data for each instance. You can create additional storage volumes with the storage capacity of your choice within its availability zone in the Public Cloud or VPC. You can backup your data by taking snapshots of your volumes at any given time. This allows you to create a backup of your data and recreate a similar volume and share it with other users, whether it is in the same region or not. Create storage volumes and easily add them to your instances. Dimension your storage capacity quickly in block mode according to your needs—up to 36,000 IOPS and 16TB per instance by volume. Your data is backed up and recoverable through copies or snapshots of your disks. The availability rate in Block Storage infrastructure is 99.7%. Our AltaVault-certified OSU solution is a secure object storage solution that enables you to easily store, backup, and archive your data. Usable by API, OSU easily and quickly adapts itself to your data evolution. You benefit from a pay-per-use pricing model and a certified, efficient and highly available solution. Outscale offers OSUs (Object Storage Units) allowing you to take large-scale advantage of your Cloud applications at all times. Your data contained in unstructured objects is grouped in a storage environment; where each object has a unique identifier to provide for easy extraction. Ideal for large-sized objects: You can store various files on OSU (documents, database backups, multimedia, archive). Simplified management: Easily set up your own secure Drive and, add the storage capacity you need. Geolocation of your data: Choose the geographic area to store your data and, benefit from the high availability and best latencies. Data confidentiality: We protect the confidentiality of your data and information, in respect of the digital sovereignty policy. Simplified scalability and instant agility when using our storage solution: Outscale’s OSU solution is available and, integrated into the “overflow on Object storage” section of the NetApp AltaVault application. Easy deployment of the solution on different architectures: private, hybrid or public Cloud. 3-times or 6-times replication: Resilience in data access. Outscale’s Cloud Expert service offers some data accommodation, storage, and processing infrastructure, with the support of NetApp, a renowned technology partner.